I’m very lucky – I’ve travelled all over the world for both my job and for pleasure, filming, photographing and writing about different lands and cultures, fascinated by them all. But nowhere draws me back quite like Africa. From the mountains of Morocco to the wildernesses of Namibia, for me Africa is the last continent where true adventures are still to be had. And its pull keeps taking me back there – the more I explore it, the more I want to find. Growing up, I read avidly about the exploits of Captain Cook, Columbus, Darwin and Magellan – great explorers who, even before detailed maps were drawn, were fuelled by a desire to seek out new places and peoples and put themselves in the path of incredible new experiences. Centuries later, the world is a much smaller place and it’s hard to find parts of the globe where I might even come close to experiencing what those explorers of old felt. But Africa delivers every time – from the eery moonscapes of the Namib Desert and Mozambique’s wild northern coast to the vast, undulating sand dunes of the Sahara, these are the places that inspire and captivate me. Whether bumping along precarious remote canyons by Land Rover or trekking on foot across endless tracts of open African desert, these are the places where my spirit of adventure soars. It’s me versus the terrain – suddenly I’m the star of my very own Woman Vs Wild! – and I’m in awe of, indeed in love with, these endless landscapes far from civilisation. I never feel more alive than when I’m in Africa. And perhaps that’s the point. As a city-dweller (a necessary evil of my work, alas), I perpetually long for escape from the trappings and complications of modern life – the technology, the pressures and stresses, the constant stream of information from every angle. Those African landscapes take me back to basics and remind me that, fundamentally, we are all just small human beings on a vast and beautiful planet. So here I am planning my next escape, my next adventure… Africa awaits! Where in the world do you go to feel the spirit of adventure? Post a comment just below! This entry was posted in Adventure Travel and tagged 4WD, adventure, Africa, explorers, Land Rover on June 28, 2011 by Jeanie Davison. Couldn’t agree more with the need to escape from the trappings of modern society/life! Africa sounds incredible. Ever do any travel in China? Some great terrain here, and though there isn’t quite as much wilderness, there’s certainly plenty of escape and adventure! Thanks for your feedback, great to hear from you. 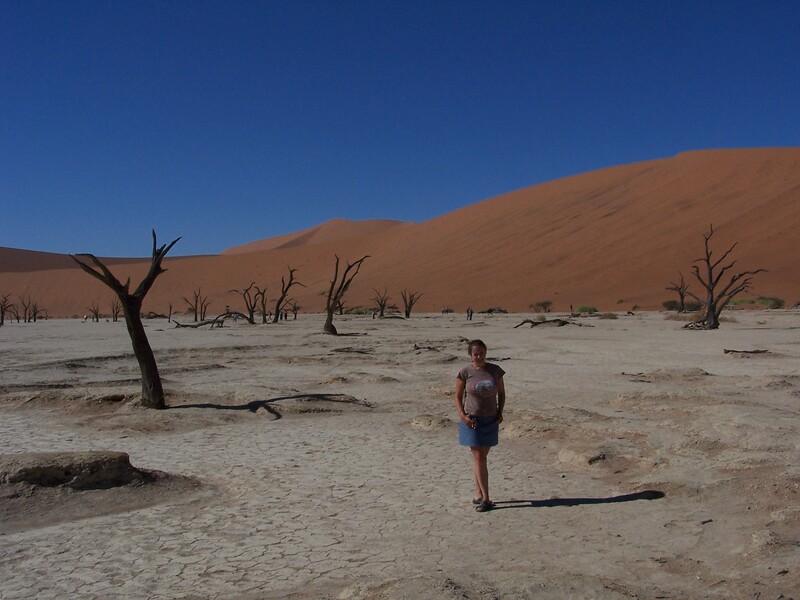 Yes, Africa is amazing – all that wonderful wide open space, incredible. And you know, I have never been to China – it’s on my (very long) list of places to go, but I’ve not managed to get there yet. It’s another huge country, of course – are there any particular parts of it you would recommend, particularly for long-distance road trips? Yes definitely! The great thing about China is that there’s such an amazing diversity of places to visit- from climates to people to food. Only been able to do a few trips in China, just in the North East of the country. Longest one was 1700km in 7 days down the coast from Beijing to Qingdao. You can check out some of the China rides I’ve been on here. Beijing to Qingdao sounds awesome. I think with any country as large as that, you really just have to pick a piece of it and explore that section, eh? I love clocking up the miles but I do want to feel the spirit of the places as I pass through too. Always that trade-off between mileage and lingering… A nice problem to have though! So true about the trade-off. It’s actually one nice thing about being relegated to a smaller bike here in China is that it forces you to go slower. Not to mention, motorcycles of any sort aren’t allowed on the expressways, which then forces me to take the 国道 (provincial roads). This ends up in having a lot of interesting experiences you wouldn’t otherwise have, meeting locals when you stop every 60-100km for breaks. Just looking forward to the multi-week/month trip I’d love to take through the country! One we will travel to Africa…another Bucket List rides. This summer tackled Northern BC, Yukon and Alaska…one of our dream rides would be from Ireland to South Africa and BC to South America. You are one lucky gal! I am currently in foggy Vladivostok waiting for my bike to arrive in the container ship from USA so I can get started on the rest of my trip westwards back to the UK. And good luck with the next leg of your motorcycling adventure – hope your bike arrives in Vladivostock very soon!